Greetings from Argentina…wish you were here! Hike in Las Glaciares National Park, Argentina. 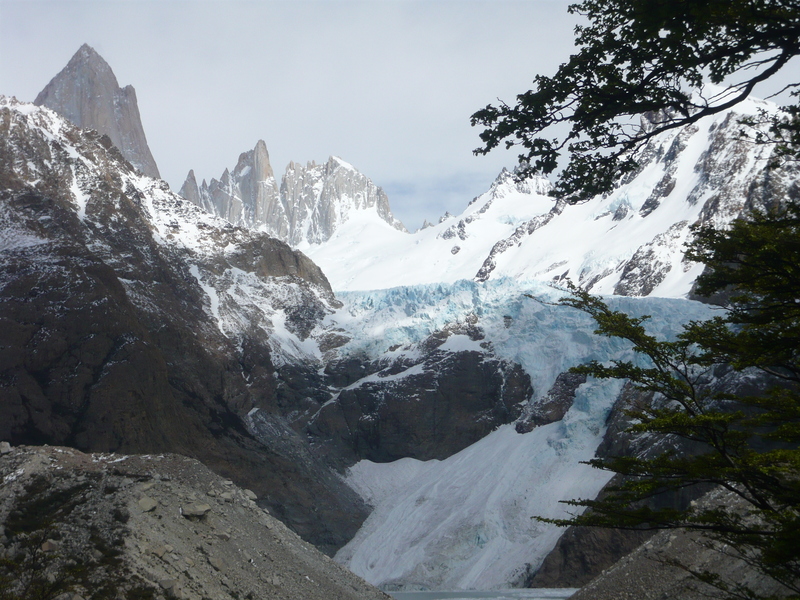 I must say that I love Patagonia and have been there three times to different parts. My favorite part is Torres del Paine in Chile but I love Argentina more because the food, culture, and wine! You must go! Absolutely gorgeous photo Nicole! And I agree, it is a stunning part of the world! Thanks Lucy for all the comments! I am getting excited about Guatemala! I honestly haven’t had a chance to do any planning yet. I’ll start the week of the 20th, two weeks before I head out. As for the hostel you recommended in Antigua, I didn’t see any contact information on the website. Do you know what the rates are and if I can reserve online? Cheers and can’t wait to meet you in person soon!